Edited by Mustafa Ali Mohd . 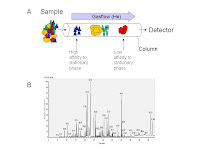 Gas chromatography has been and it still is, one of the key tools in analytical techniques in many of the advanced research carried out over the globe. This technique has contributed tremendously and was once the main technique in the analysis of specific compounds like volatile compounds, certain pesticides, pharmaceuticals and petroleum products. The advance of this technique has resulted in several tandem instruments with application of other techniques to enhance the results obtained by gas chromatography. Several good and versatile detectors has been developed and plays a pivotal role in many frontline research and industrial applications. This book is the outcome of contributions by many experts in the field from different disciplines, various backgrounds and expertise. This is a true reflection of the vast area of research that is applicable to this technique and each area has its own strength and focus towards giving highly sensitive and specific identification and quantitation of compounds from different sources and origins. The chapters cover a significant amount of basic concepts and its development till its current status of development. This is followed by chapters on the biomedical applications of this technique which is beneficial as an example of its application in biological and life sciences based research. It also includes some aspects of indoor air assessment, exhaled air analysis and analysis of exudates from natural products. The chapters include some industrial applications in petroleum, organometallic and pyrolysis applications. These chapters provide some useful information on specific analysis and may be applicable to related industries. The last chapter deals with new dimension and the frontline research and development in gas chromatography. This includes multidimensional and time of flight gas chromatography. I hope that this book will contribute significantly to the basic and advanced users of gas chromatography.